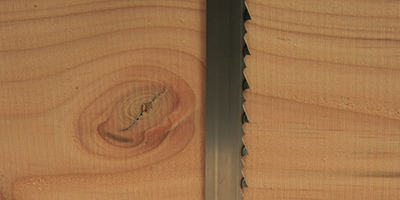 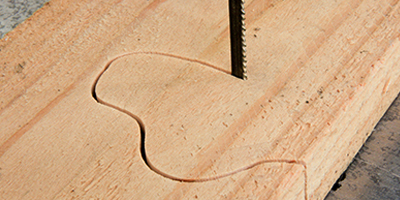 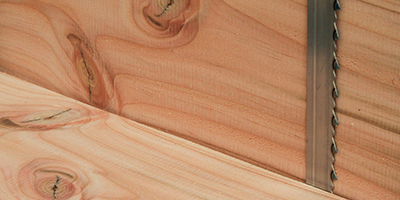 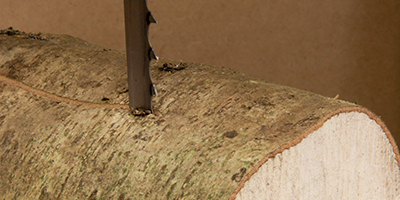 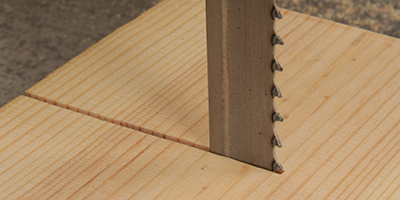 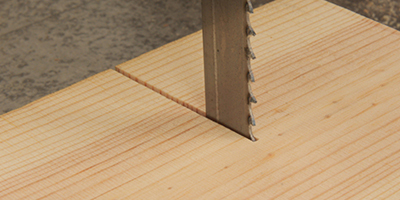 4tpi is suitable for cutting wood from 20mm thick and above with a fairly decent finish, 6tpi for cutting wood from around 10mm thick and above and will leave a better finish than the 4tpi or 10tpi is suitable for cutting wood from around 6mm thick and above with a pretty good finish but with a slow speed of cut on thicker stock. 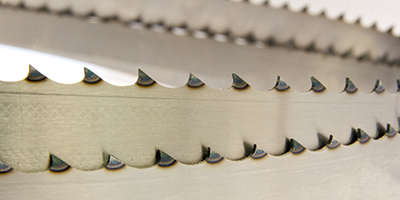 The 1/2” x 6/10 M42 is a very popular general purpose blade as it has sections of 6tpi and 10tpi which makes it a very versatile blade with a great blade life. 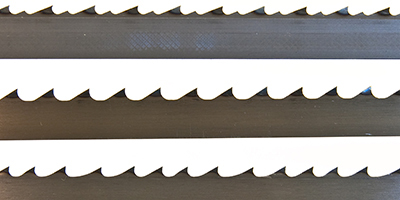 Another very popular blade for general purpose cutting is the SuperTuff Premium 3/4 Vari-Tooth which has sections of 3tpi and 4tpi. 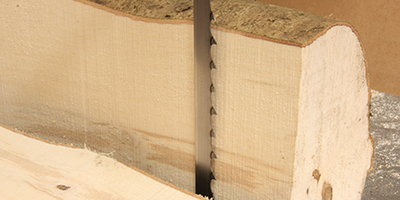 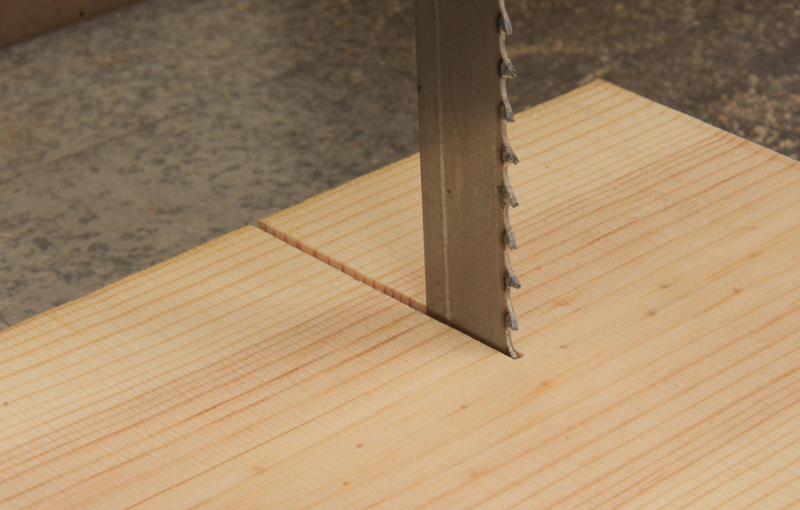 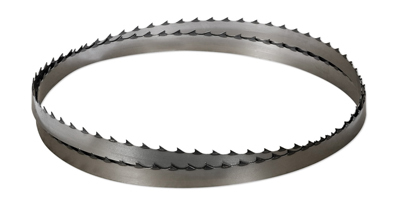 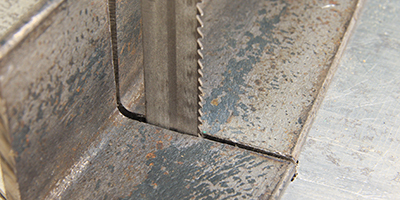 This blade gives a nice clean cut and is suitable for cutting wood from around 10mm thick up to the maximum thickness that the bandsaw can cope with but with a similar finish to a 6tpi blade.